Although the last few months of 2018 were gruesome for most hedge funds, some strategies did better than others, as usual. One strategy that’s starting to capture investors’ attention is merger arbitrage, which did hold up better when most other strategies failed. One example of this is Carlson Capital‘s Black Diamond Arbitrage fund, which follows an event-driven strategy focused mostly—although not exclusively—on mergers and acquisitions. The fund has managed to post positive returns even during times of market upheaval. Now one firm argues that this year could be the year merger arbitrage strategies such as Carlson's arbitrage fund will shine. 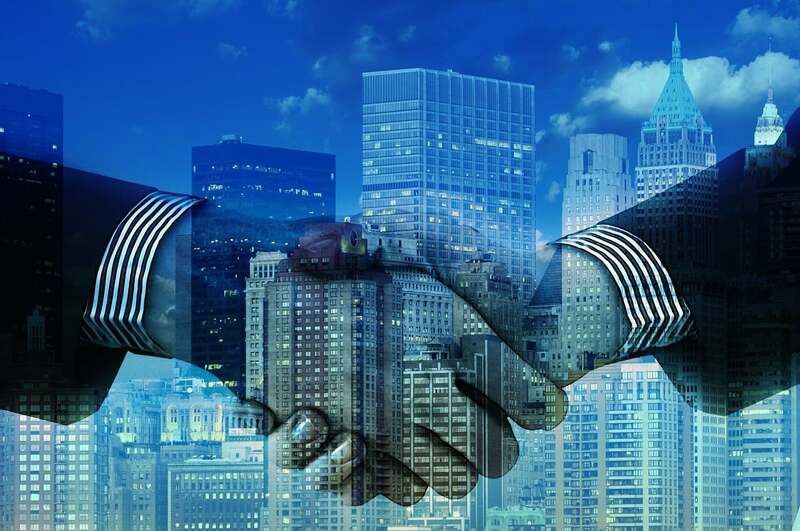 In a note earlier this month, UBS analysts noted that 2018 saw $4.1 trillion worth of M&A deals. They also said they expect "healthy" activity this year, along with "attractive spreads." They note that deal volume has been steady over the last few years of the bull market, but it seems like the markets are finally beginning to change. 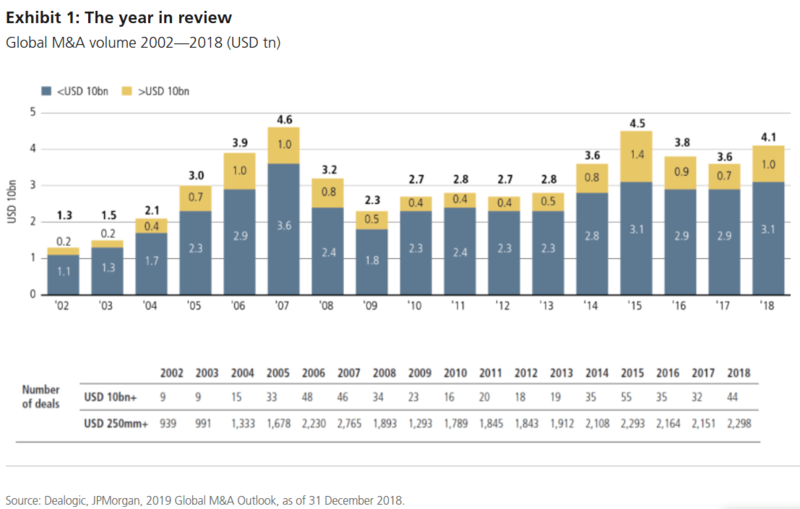 Volatility is on the rise, as is geopolitical uncertainty, so it's natural to consider whether the M&A market will change as well. According to UBS, investors are being increasingly drawn to merger arbitrage strategies in their quest to "absolute returns with low correlation and beta to broader markets." They describe the goal of the strategy as attempting to "capture the risk premia associated with announced transactions." The firm's analysts went on to explain why they believe merger arbitrage strategies will remain strong in 2019. The first force UBS analysts see at work in the merger arbitrage space is the ongoing increase in volatility across the capital market. They note that equities have been steadily climbing for years, so a return to volatility would be a significant change. It enables acquirers to take advantage of pullbacks and pick up assets they had been contemplating for some time, theoretically increasing returns. For example, they noted that Bristol-Myers Squibb struck a deal to acquire Celgene for $74 billion at the beginning of the year. The deal came after Celgene's stock plunged 15% in December, presenting an opportunity for Bristol-Myers to pick up one of its rivals at a much lower cost. As volatility increases this year, UBS expects more of this kind of deal to be announced. The firm's analysts also referenced the growth private-equity firms have enjoyed in recent years. Several other sources and studies have shown how investors have been increasing their allocations to PE, and as a result, many PE firms have collected massive stockpiles of dry powder. UBS notes that some estimates have suggested private-equity firms have more than $1 trillion in dry powder just sitting around waiting to be used. It's only a matter of time when and which assets will be purchased when this capital is deployed. UBS analysts also noted that activism-focused hedge funds have seen their assets under management double since 2007. Activist involvement has long been a driver of M&A deals, and they expect U.S. activist campaigns to hold steady with last year in terms of volume. They also look for activism outside the U.S. to grow this year, presenting even more catalysts for M&A activity. The firm also noted that regulation has been getting more and more complicated over the years. In fact, UBS found that potential delays in business-related legislation was named as the biggest obstacle to finding, financing and closing deals over the next 12 months. Larger deals which require approvals across borders are especially sensitive to changing political sentiment. The markets have also been watching the U.S. Federal Reserve's movements and commentary around interest rates. The credit markets have been stabilized thanks to the Fed's more dovish tone recently, although a Deloitte survey found in September that investors generally expect the benchmark rate to increase over time. UBS analysts believe this expectation of higher rates could speed up deal-making efforts as acquirers attempt to take advantage of lower interest rates before the Fed raises them.